Representative Ilhan Omar (D – MN) has faced intense scrutiny and now death threats for questioning our nation’s foreign policy as it relates to the state of Israel. The House of Representatives passed a resolution on March 7 that condemned bigotry in all forms – particularly anti-Semitic and anti-Muslim forms of hatred and discrimination. 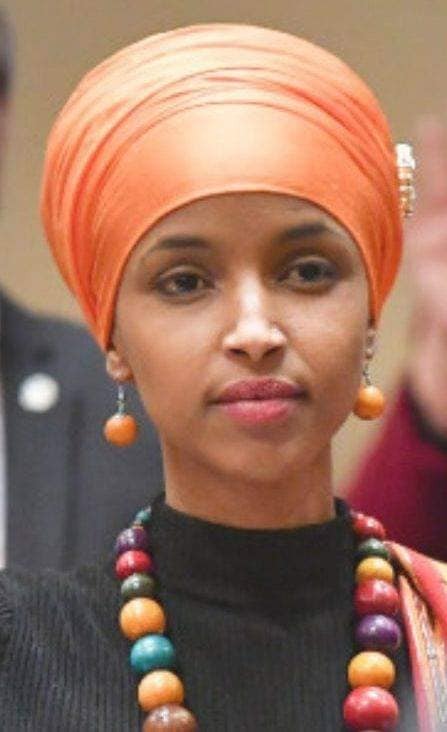 However, the resolution, which originated within the highest echelons of the House Democratic leadership – most notably, with Speaker Nancy Pelosi, was aimed at Omar.. Numerous Democrats blindly interrogated her for daring to question the policies of the Israeli government toward Occupied Palestine. She was condemned for refusing to accept the current U.S.-Israeli relationship. There is a double standard here. Omar, a black, Muslim woman, is calling out the United States of America for supporting an oppressive regime, one enforcing social and economic apartheid on countless Palestinians in the Gaza Strip and occupied West Bank territories. This is a human rights issue, not a religious one. Although presidential candidates Bernie Sanders and Elizabeth Warren immediately condemned Trump’s remarks, it took several days for Pelosi to defend Omar, by name, against the president’s duplicitous tweet. Her apathetic response demonstrates a clear disregard for Muslims in the United States, as well as a general ignorance of the plight of oppressed Palestinians, by the established leadership of the Democratic Party. U.S. foreign policy on Israel has been driven for decades by the spiritual convictions of the U.S.Religious Right, which are not genuinely oriented toward goodwill for the state of Israel or the Jewish people as a whole. Some evangelical strands of Christianity hold that, in order to usher in Christ’s second coming and judgment of the world, the entire Jewish people must recognize him as the awaited Messiah. Bolstering the Israeli state militarily is a misguided maneuver in this theological fantasy. Israel currently receives $38 billion in defense aid from the U.S. government. Blind U.S.allegiance to the state of Israel is steeped in white supremacy, imperial hegemony, the military industrial complex, and delusional Christian eschatology. Ilhan Omar is right to stand up for the human rights and collective struggle of the Palestinian people in the face of occupation and exploitative terror. Phillip Clark is a writer, paralegal, and government & policy student at the University of Baltimore. He has been a DSA member since 2016 and currently chairs the Greater Baltimore chapter’s People of Color Caucus).